The new Apple iPhones going on sale this week, the iPhone 6 and the iPhone 6 Plus, have crisper screens, faster processors and sharper cameras. The best part of the new phones is actually the new software inside, which is available for some older models, too, starting on Wednesday. The software, iOS 8, combines some of the advanced features of Android with Apple’s ease of use and reliability. 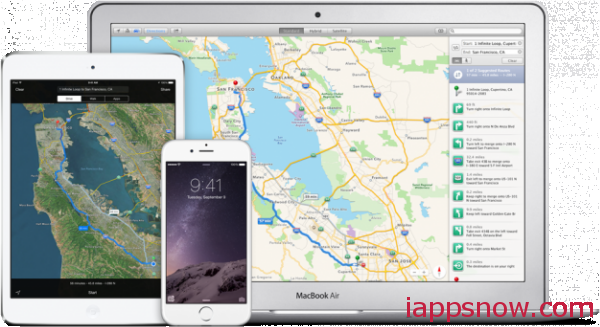 Here is all info about iOS 8 and iPhone 6(Plus) Maps- What You Need to Know. Even if you have a factory navigation system, it’s often still faster, easier, and more useful to run a smartphone navigation app (with a mount—stay safe!) 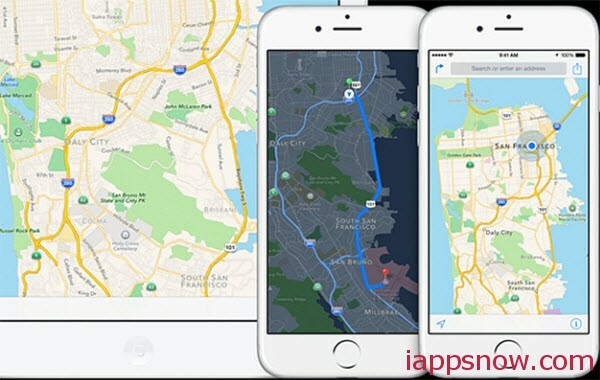 for guidance from point A to point B. Apple is well aware of this fact and so it’s rolling out some features for its upgraded Maps app that will make navigating while driving easier when the iPhone 6, iPhone 6 Plus, and iOS 8 launch this Friday. Apple’s Maps app was powered by Google data from its launch in 2007 until the debut of iOS 6 in 2012, but the switch to Apple’s own platform was plagued with so many problems that CEO Tim Cook wrote a rare letter of apology that even pointed customers to competing apps. Among the issues: addresses went AWOL, known landmarks were missing or badly mislabeled, traffic data was poor, and public-transit directions weren’t available. Many of these errors have been fixed—Apple says that it updates map data every day at 3 a.m. with user corrections—but there are still no train or bus routes, and traffic isn’t rendered down to Google’s red-yellow-green accuracy. So there’s always something brewing with Maps, but since we’re car people, we’ll focus on the latest version’s driving-focused improvements. Automakers know that dimming bright displays in the instrument panel or on the center stack is a really good idea when it’s dark outside. The newly full-screen Apple Maps will now leverage the device’s light sensor to automatically switch the Retina screen’s display to night mode and give your actual retinas a break. Bookmark a spot on your iPad, and, when shared via iCloud, your iPhone’s Maps app will load every place you’ve saved. The same goes for directions that you start on another iPhone (if you’re lucky). For now, Apple is restricting these syncing features to Mac computers running OS X Yosemite. Perhaps realizing that iPhone users should be able to choose the best application for a given task—hello, Android!—the new Maps will let them open searches and directions in other apps, such as Google Maps. It will also provide App Store links to relevant transportation apps that aren’t installed. You can now search for a place directly in the iPhone’s Spotlight master-search field and access Maps (or other apps) that way. There’s also the ability to share locations directly in the Messages app, instead of going through the extra step of dropping a pin on the Maps app and sending it to a desired contact. Everything else, including turn-by-turn directions, integration with Siri voice commands, and in-map searches, appears to carry over largely unaltered. We’re sure to learn more once folks can upgrade to iOS 8 and fiddle with the latest version of Maps.